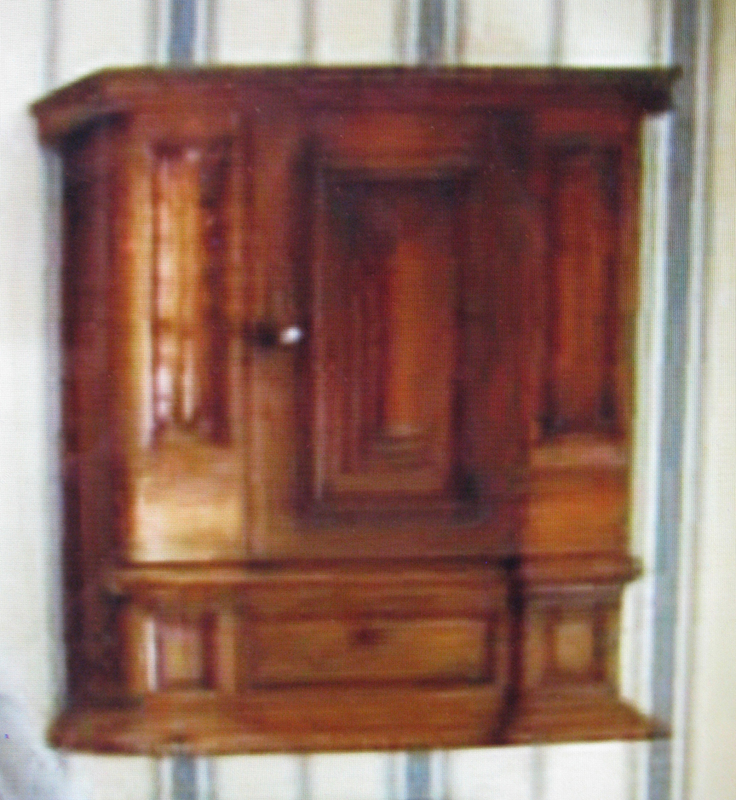 Do you have Wallace Nutting's Furniture Treasury? It is not "folk" strictly oriented but a few pieces are slipped in. Have you ever heard of Zoar in Eastern Ohio? It was a German Separatist commune that spanned most of the 19th century. 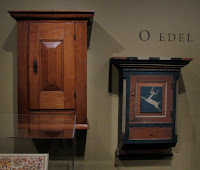 They had quite the output of furniture with a lot of originals on display. Also nearby is Warther's, a museum dedicated to a woodcarver who did some amazing carving. Think I even have a book of Zoar Furniture I could dig out if you are interested? Thank you so much for all the suggestions! I really appreciate your help. I have some books that were recommended to me which are very good, but I'm always on the lookout for special pieces. Of the books and sites you guys listed, I've only heard of the Wallace Nutting book which I tried to get ahold of once. I have seen them go for as little as $5 at PATINA, so I'll put that on the list for next year. I have searched for such things by using google translator to get key words in foreign languages, then searched those words and looked in images. Once you find something you are looking for find keywords connected with that photo and search them. Holy mackerel, you guys have good ideas. I wish I had posted this a long time ago! American Museum in Britain online image catalog. I was trying to look for some type of Portuguese traditional furniture, but as Europeans, our culture is a gathering of styles from all around Europe and the world, because of the discoveries. After speaking with colleuges, one kind of Portuguese furniture that has been around for same type, adapted from other countries is the "Contador". Maybe it can be translated as the "Counter furniture". It was used to hold the money and documents from rich people, and then adapted to the sea travels during discoveries. When Portuguese arrived in Japan, China and India, it suffered a huge transformation, becoming what is now a very known piece of furniture and art. 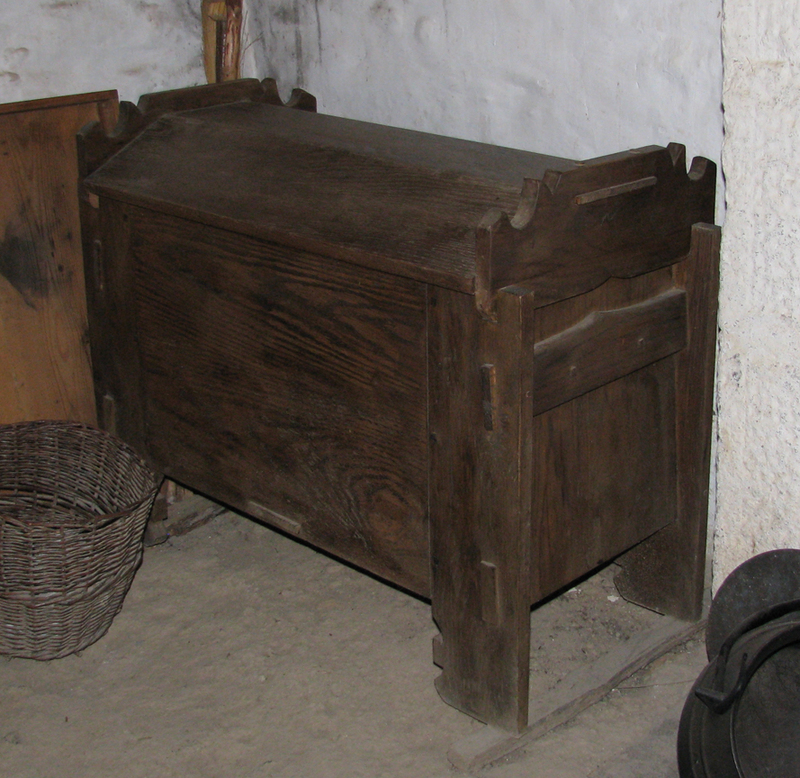 Typical Portuguese "Counter furniture" can be distinguished by the legs style, wavy and tangled. It has a lot of carving too. Other very tipycal Portuguese way of woodworking is carving. 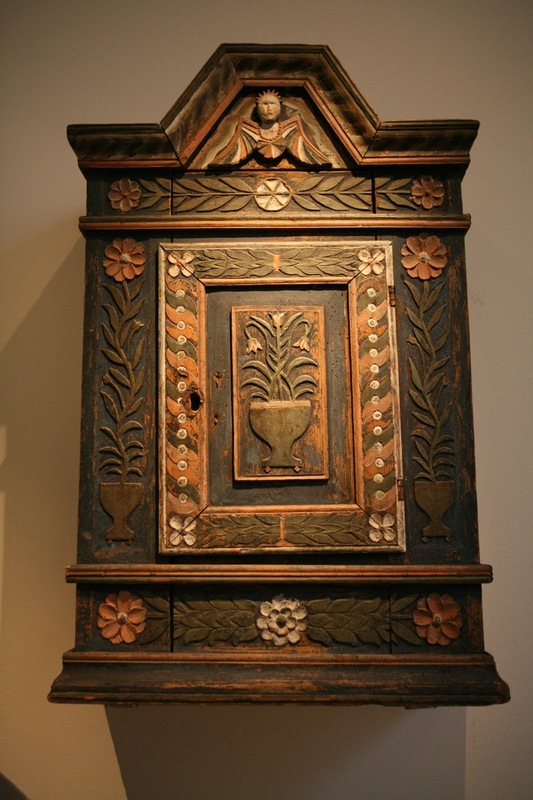 Portugal is well known for his "Golden carving"; carved wood with gold leafs on it. But almost all this carving is religious, so i don´t know if you are very interested. I'll just leave you with three links from our Cathedral, here in Braga where i live. This last one is from outside the Cathedral, just to give you an idea. Scroll to the bottom of the page for detailed description. I think this is a good example of what you're looking for. As some suggested, Peter Follansbee posted some time ago about a book which I have drooled over, but not purchased. The name of the book is Nood-Nederlandse meubelen van Renissance tot vroege Barok and it is 100 euro - don't know if I can spend that kind of $$ on a book, but I may look it up when I am in the Netherlands later this year. A sincere thank you to all of you for taking the time to post links and book suggestions. I've been pouring over the sites for the past couple days and have found a number of items that have really caught my eye. 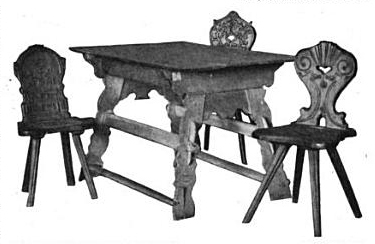 Folk Furniture of Canada's Doukhobors, Hutterites, Mennonites and Ukrainians, by J Fleming and Michael Rowan. 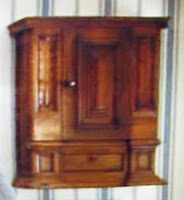 Try this for an interesting little cabinet. I really like your taste in woodworking (and ice cream too). I've learned a lot from your site. Hurry back from your sabbatical. PVC stolarija, that's a cool website. The boxwood carving from the medieval period--->holy mackerel! Anon, thank you for the book recommendation! Jim, I've never seen a cabinet like that before. Almost looks like the top lifts off and can be inverted to be used as a bowl. I bet the maker would have liked to have fetched such a high price when he sold it. For 17th c. English furniture you can't beat Victor Chinnery, "Oak Furniture: The British Tradition." For a tonne of line drawings of furniture from all over Europe and all eras, check out "Classical European Furniture Design" by Jose Claret Rubira. The V&A is the best English museum for this, and they have a lot of stuff in store that you can arrange to examine - but you have to know what to ask for. The furniture curator can send you a bibliography of published catalogues. There's a great museum in Brussels with a lot of excellent historic furniture; I think it's the Musee des Arts Decoratifs. Berlin and Frankfurt also have museums with excellent domestic furniture displays. There are a lot of resources for c17 and c18 domestic furniture, so you will have plenty of research to do. Fun!